The Five Ingredients of the Scene.℠ We’ll start here during our work together, because these easily understandable five ingredients will enable you to write your very first scene. This is so important, because “getting started” is always the hardest part. What If?℠ A magical technique to get your plot roaring. Open the Door... and Your Characters Will Walk Through.℠ This is such a fun way to meet and introduce new characters to your story. ​My Annual Writing Retreat For Women Is A Unique Way To Work With Me. 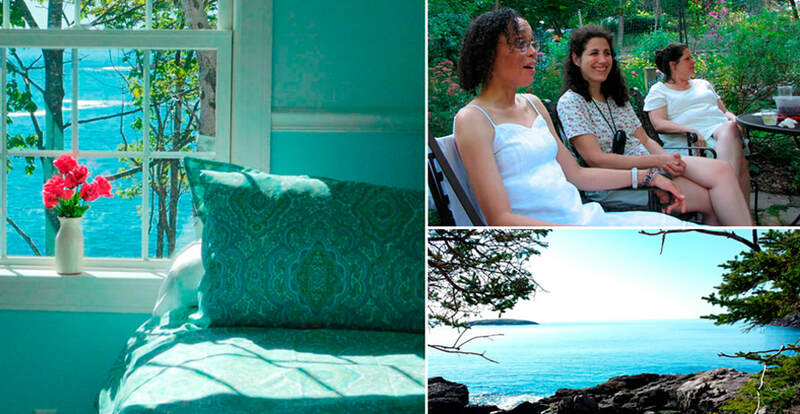 You'll learn all about these techniques and so much more during my seven-day fiction writing retreat for women, held on my beautiful oceanfront property in Bar Harbor, Maine. This year's retreat takes place September 7th-14th, 2019, and you can learn more about it below. During this retreat, you'll discover new sources of inspiration for developing your plot and characters. We'll work with my three proprietary techniques, including The Five Ingredients Of The Scene, to build your story into a page-turner. There will also be time for us to explore Acadia National Park. Explore the 2019 Maine Retreat! ​The techniques I’ve evolved over the years, which now comprise “Emily’s Foundation”, take you from the beginning – an idea for a plot and one or two vaguely formed characters – to the end – a completed book in which one absorbing scene follows another, with memorable characters and a page-turning plot. ​​​My proprietary techniques have arisen from both my teaching and my writing. 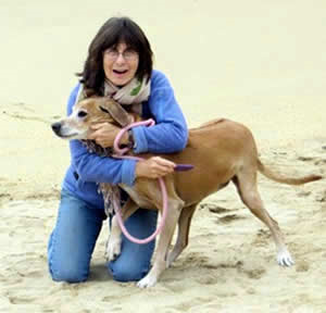 I've been a novelist and fiction writing coach for 30 years. I’ve had eight books published, including Petersburg, which was a Best Seller in England. ​ ​Learn more about Emily. Working together starts with my introductory program. This includes an initial half-hour conversation, and then a two hour lesson during which we'll evaluate your strengths and weaknesses ​as a writer. Learn more. Details On My Ten-Week Fiction Writing Workshops. How I Teach: Emily's Foundation is built from my three proprietary techniques that will power you to complete a memorable work of fiction. ​Learn More. Getting To Understand You: Understanding who you are as a writer and a person is indispensable to our successful work on the Fiction Writer's Journey. Learn More.